This is only the second Urban Decay product I have owned, I jumped on the Naked Palette band waggon really late and I am yet to purchase the Naked 2 and Naked 3 eye shadow palette. I am in love with the original one and it was fantastic for when I did my own make up as bridesmaid for both of my best friends. So I thought why not try something else from Urban Decay and, do you know what, thats exactly what I did! The Naked Flushed Palette was my choice as I am going on holiday soon and wanted to minimise the amount I take with me, as this has a bronzer, highlighter and blusher it was the best choice. 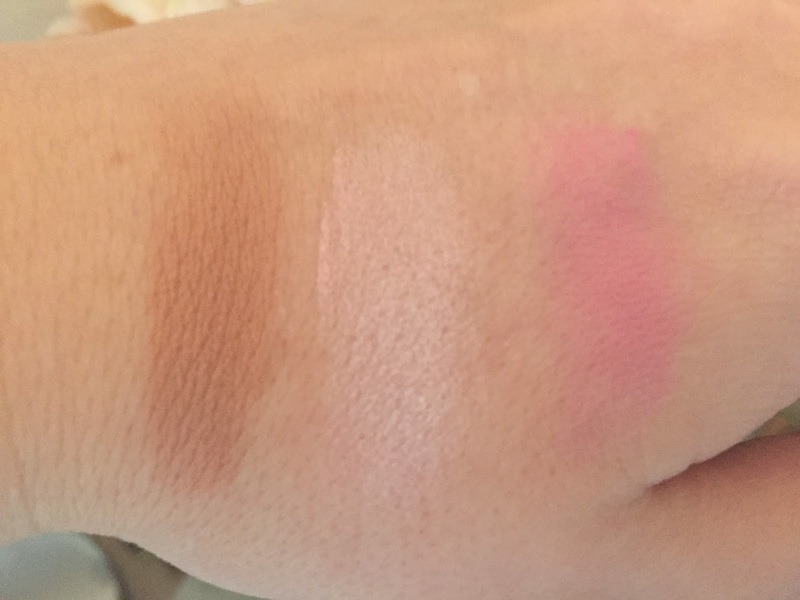 All 3 products feel really nice to touch and the pigmentation on each is great, I sometime struggle when the pans are all together with nothing dividing them and sometimes you pick up bronzer when you are just trying to highlight. The blusher in this palette can look a little scary as it is bright pink but it blends really well and it doesn't look as bright when on. The actual palette itself is made out of sturdy plastic and closes with a magnet so I am not worried about carrying it around in my bag. The size is actually small enough to have in a small make-up bag but big enough where you still feel like you are getting a decent amount of product.